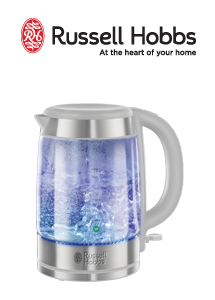 Russell Hobbs has released the 21601 Illuminating kettle to go along side their pre existing 21600. The new addition to the glass collection range has a 1.7L capacity and is more energy efficient, this kettle saves up to 66% of energy compared to a normal kettle. With a 3kw power rating and the sleek see through body, you can see your water boil as you prepare your cups of coffee and tea.